The news of a trip to Norway is almost always met with the same response. A sharp intake of air followed by stories of cups of coffee that cost the same as the yearly GDP of a small country. Just saying Norway out loud can make your pocket feel lighter. Doing some research on Google won’t do much to allay your fears. The official Visit Norway website features an article with a list of ‘budget’ restaurants. According to this article, a budget meal will cost around £15 for a main course excluding any drinks or sides. It seems this Norwegian idea of a budget meal is very different to ours, especially considering the fact that we recently ate in a Michelin Star restaurant in Prague for less that this. However, with a lot of research we were able to enjoy this fascinating city on a budget. Here are a few of our top tips. If you are flying from Europe, your flights will probably be the cheapest part of your journey. Ryanair regularly do flights from most major European airports for around £10 each way. When you arrive in Oslo, the cheapest way to get into the city centre is to take the train. For this you have to buy an all zones public transport ticket which costs around the £10 mark and gives you two and a half hours of travel on busses, trains, the metro and trams. If you are quick you can use this to this to get to your hotel, check in and then travel to your first site of interest. Many of Oslo’s sites can be walked to if you are energetic and have comfortable shoes. You can also get a 24 hour public transport ticket for Zone one and two (which includes all the metro stops) for around the £10 mark. In Oslo there are many boat tours that cost anything from £30 to well over £100. But an alternative of this is to get the B1 public ferry from Aker Brydgge ( here is where to find it ) and ride around some of the nearby islands. There are front and rear observation decks as well as big windows all around. This ferry can be used with any of your public transport tickets or alternatively a one hour ticket will cost just over £3. Exploring islands on the B1 ferry. In Oslo, a hostel can cost as much as a luxury hotel in other parts of Europe, but there are budget options available. A great way to lower the price is to get a four person room and split the cost with friends. We recently stayed in the Best Western Kampen hotel which is very central and cost around £25 per person per night for a suite with breakfast included. Another good option is to check Airbnb. If you book early enough in advance, there are some good deals to be had. If you register through the following link, you can get £25 off your first stay. Click here to get £25 off with Airbnb. So let’s move on to a topic close to my heart, food. Restaurants in Oslo are notoriously expensive, but budget options can be found. When searching for some reasonable grub, Grønland is a great place to start. It’s a central district just to the east of the main train station which a large ethnic population. If you like Kebabs, Pizza and Curry (not necessarily all in the same meal) then you won’t be disappointed. An example of the tasty cuisine available here is a restaurant called Punjab Tandoori ( map and directions to Punjab Tandoori ). Here you can get a curry, rice and a naan for around £7. Drinks are available for a reasonable price but a jug of refreshing Norwegian water is free and makes the perfect accompaniment. Coming from an Indian background myself, I wouldn’t say the quality of the food is going to win any awards, but the long cue of people waiting for a table may feel differently. One thing is for sure though, it’s well cooked, hot and most importantly represents good value. Another good way to save the pennies is to purchase food from the many convenience stores in Oslo. There you can buy pastries for around the £1 mark or a hot dog and coffee for around the £4-5 mark. 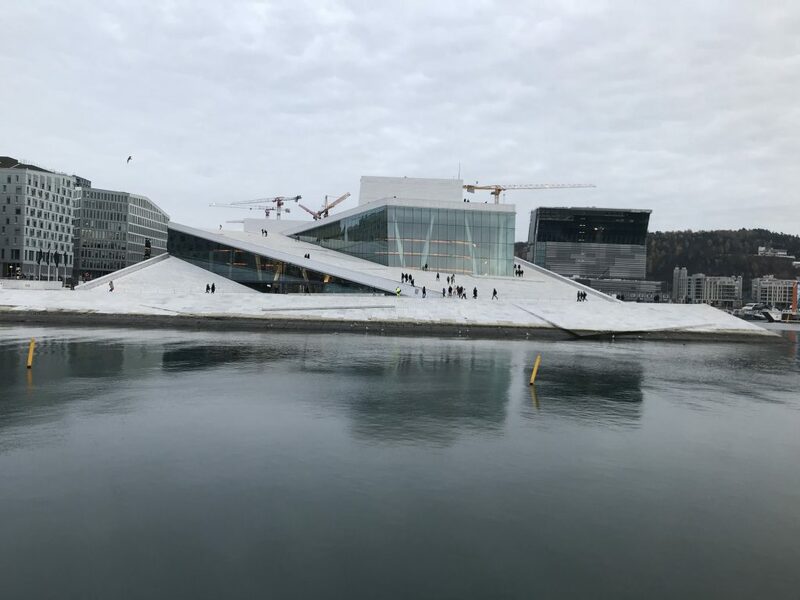 Another great option is to buy some fresh Norwegian food from a supermarket and enjoy it as a picnic in one of the many parks, or on the roof of the iconic Oslo Opera House ( here’s how to find the Oslo Opera House ). I guarantee you that besides being cheaper, it will be far more memorable then a meal in a soulless, overpriced restaurant. If you choose to do this we suggest buying some local bread, cheese and jam (Norwegians love this combination) and some Skolebrød (a delicious sweet bread filled with custard and covered in coconut). So what about when it comes to the time for your afternoon ‘pick me up’? There are many coffee shops in Oslo with plenty of options that will cost no more then a large Starbucks or Costa back home. There are some things that you may want to avoid buying in Oslo. Norway heavily taxes both sweets and alcohol. We saw standard bags of Haribo sweets that cost over £8. If you feel you would rather not spend a couple of days without alcoholic drinks, you may wish that to purchase these at the airport duty free before flying to Oslo. As Norway is not a member of the EU, you can take advantage of the prices available to those flying “outside of the EU”. Just ensure you don’t take more then 1 litre of spirits per person though. 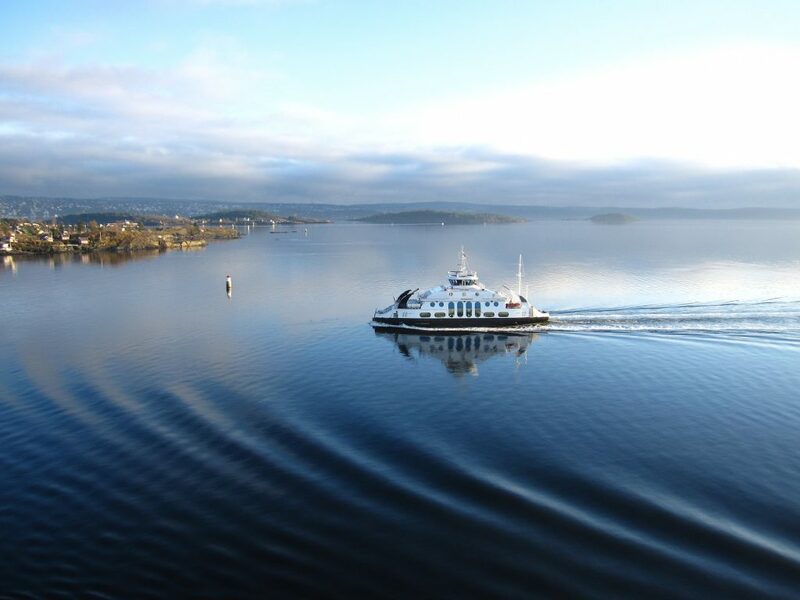 Many of Oslo’s attractions are free to look around, here are some of our favourites. 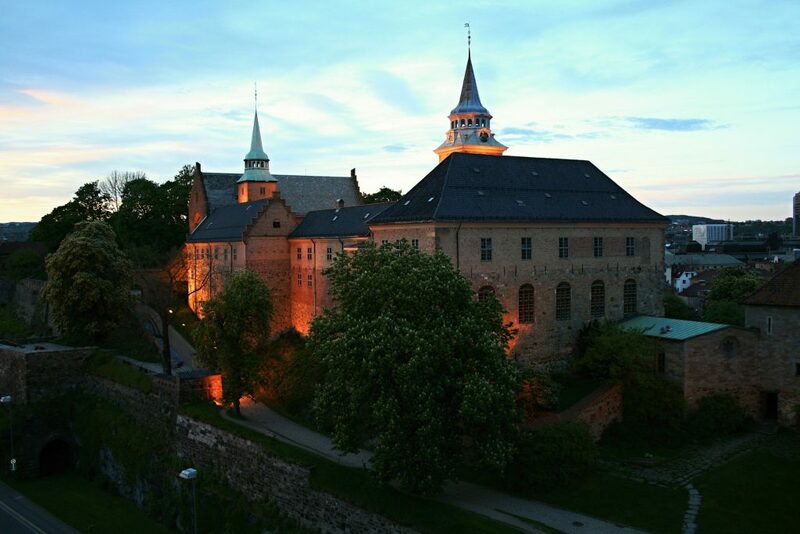 Akershus Fortress ( map and directions ) – It costs nothing to walk around this historic fort. You can explore the museums inside, climb the walls and get some of the best views of the city. The Akershaus Fortress is full of hidden treasures. Oslo Opera House ( map and directions ) – No visit to Oslo is complete without climbing the roof of the Oslo Opera House. Your climb also allows the opportunity to peer through the windows into the inner workings of this fascinating building. Holmenkollen Ski Jump ( map and directions )- Although there is a charge to enter the museum or climb to the top of this incredible structure, you can explore the bottom and climb to the middle viewing deck free of charge. This gives you more then ample chance to take in the building, and get incredible views of Oslo. The metro ride to Holmenkollen is also one of the most incredible you will ever experience with great views as it climbs away from the city. 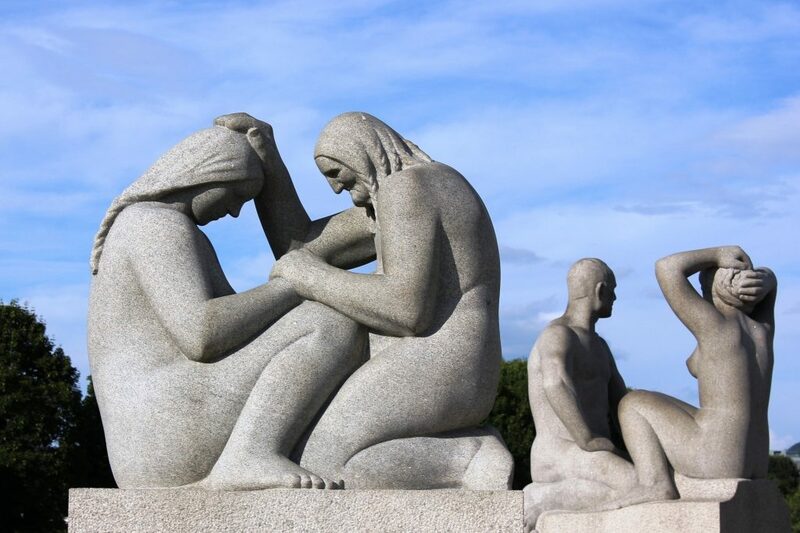 Sculpture Parks – Norwegians are proud of their sculpture parks and entrance is completely free. The most well know is Vigeland ( map and directions ) but we enjoyed Ekeberg ( map and directions ) even more. Many locals we met talked about their love of sculpture parks. Free Museums in Oslo – most museums in Oslo have a hefty entrance free but the following are free to enter. The Architecture museum is also free on a Thursday. If you want to experience art in Oslo, rather than paying the hefty gallery entrance fees, why not visit some of the commercial galleries that sell art and charge no entrance fee. With prices being so high in Oslo, it’s important to get a good exchange rate. The best way to do this is to use a prepaid money card. We personally use Revolut which comes with a handy app that allows you to top up on the go. Two other good options are Monzo and Starling. Both are solid options but we found Revolut best for exchange rates and ease of use.